Luino, Lago Maggiore, Italia! Spoken in Italian it sounds wonderful. What a truly gorgeous place. Travellers have been drawn here for centuries, attracted by the mild and sunny climate as well as the stunning scenery and of course superb food and wine. 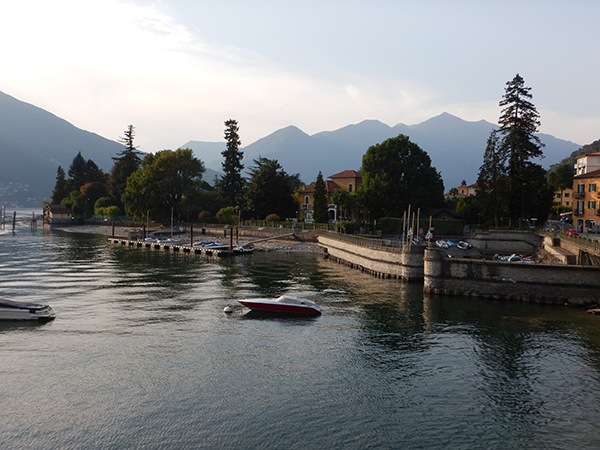 Lago Maggiore is an absolutely perfect destination for a short rowing holiday. 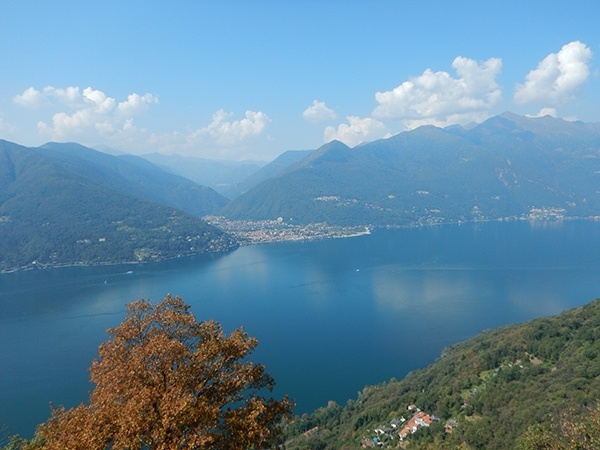 Luino sits on eastern shore of Lago Maggiore in Lombardy, northern Italy. 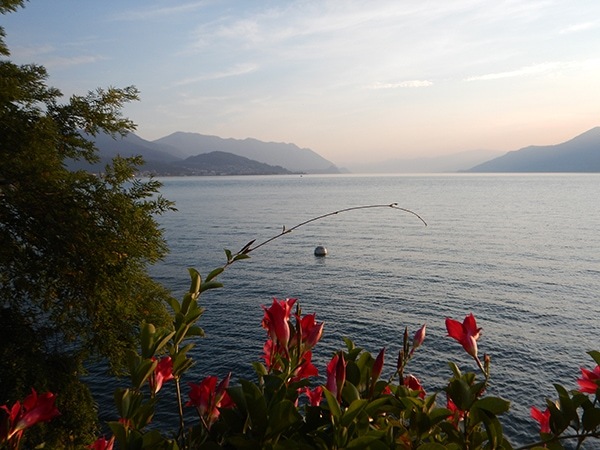 With high hills on one side and crystal blue waters on the other, Luino is perfectly poised for rowing excursions to the south, north and west, and then some. The scenery from the boat is glorious. Charming villages with pastel coloured buildings and stone churches climb up the steep hillsides. Castles sprout from islands. Tiny chapels dot the hillside among olive groves and forests. The lake is long and narrow, offering views of snow-capped Alps in Switzerland to the north, and in other directions there are tantalizing curves that entice you to row just a little bit further. 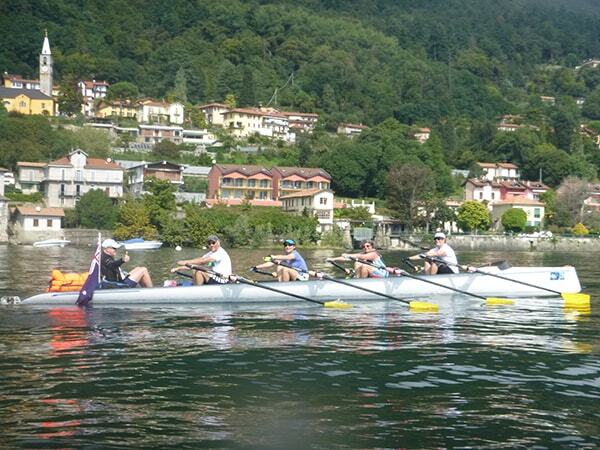 Rowing The World’s Luino & Lago Maggiore Rowing Weekend offers an excellent balance between adventure and relaxation. Three guided rowing excursions offer lots of activity. We will make sure that you can enjoy some unstructured time to stroll the streets and waterfront promenade, sip an espresso or aperitif in a café or maybe in-dulge in a little shopping. La vita è bella. Our weekend rowing trips offer you a three or four day getaway with the chance to row somewhere amazing with virtually no time off work. These trips give you an intense dose of your favourite sport in a beautiful location. And of course we also offer our signature quality accommodation, food and other activities. We have selected a wonderful hotel, but there are some special upgrade options, if you prefer. 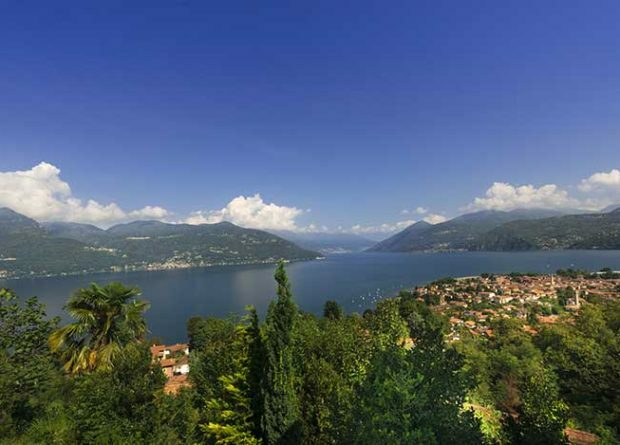 Luino is conveniently close to Milan-Malpensa airport. This invitation is for private, club trips – bring your rowing buddies for a special club outing. The great thing about a private trip from a base, is that distances and level of difficulty can be dialed in on a daily basis. We will give you the experience that you want. 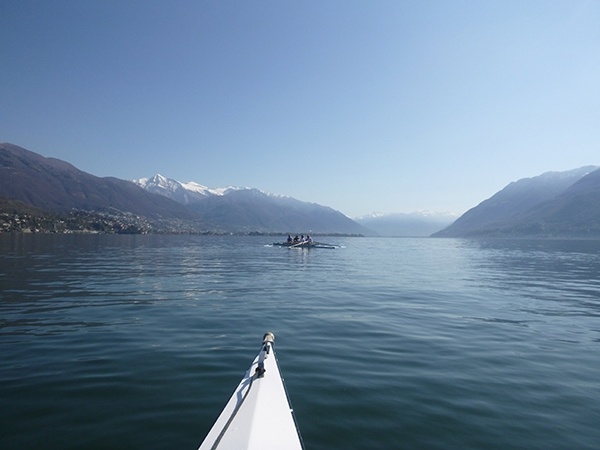 Have a wonderful rowing weekend on Lago Maggiore. 10 – 25 km per day Coastal rowing shells: coxed quads and double available Minimum 10 rowers; maximum 20 or 22 rowers. Note that weather and water conditions may mean deviations from the itinerary described below. Arrival in Luino. Settle in, maybe step out for a first gelato and stroll along the promenade. But don’t spoil your appetite, as a wonderful welcome dinner awaits you. We will cross the lake to Cannero di Riviera, first circling Castelli di Cannero. Echoes of Hemmingway at our lunch destination. Back to Luino for a little relaxation before another wonderful dinner. home after a lovely, long day. Time to eat again! On the last row, we will head south for another perfect pasta lunch. 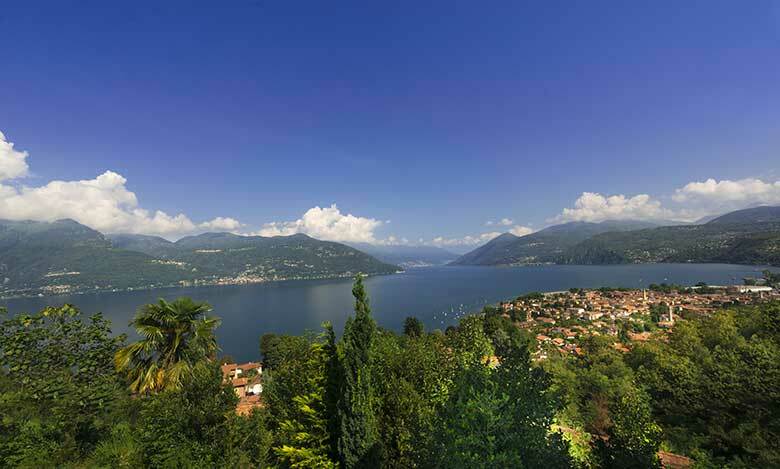 Shower at the club and head to your next destination, enriched with your time in Luino and Italy.